Actor Glenn Close has shared her thoughts on how Hollywood should approach the challenge of supporting transgender actors. Close shared her opinion on a long form interview conducted by The Hollywood Reporter. They invited some of the nominees for the Best Actress, and Best Supporting Actress, award at the Academy Awards to take part in a round table discussion about the film industry and the status of women. The conversation between Close, Nicole Kidman, Lady Gaga, Regina King, Rachel Weisz and Kathryn Hahn is worth watching all the way through and covers many different topics, but at one point the conversation turns to the issue of casting transgender actors in transgender roles. 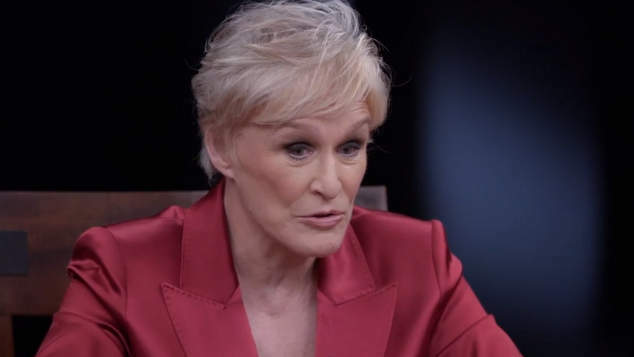 Glenn Close, who recently won a Best Actress award at the Golden Globes for her role in The Wife, says there are two films in her career that took more than 15 years to get to the screen. One was her current film The Wife, and the other was Albert Nobbs where she played a transgender character. Close says the issue of encouraging the casting of transgender actors in transgender roles in a complicated one. Close said one of the challenges was the fact that films will not get funding unless there is a well known actor attached to a project. The other actors around the table voiced their agreement with Close. Nicole Kidman said the world was going through a period of enormous change, change that she welcomed. Watch the entire discussion, the section on transgender actors occurs around the 17:00 minute mark.